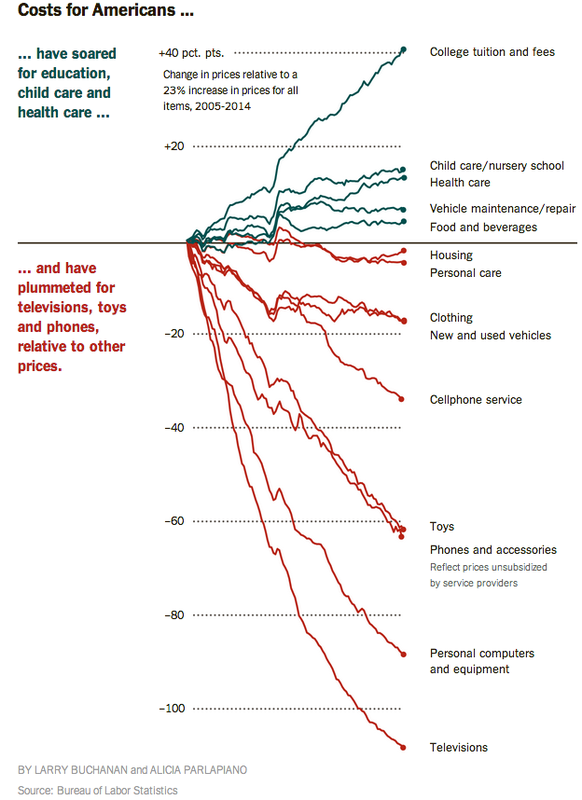 Interesting chart this week from the New York Times showing that the cost of living for essentials (child care, health care, vehicle maintenance, food) has risen significantly over the last decade, while the cost of extra "stuff" Americans enjoy has declined dramatically. While cell phones and TV's are bought every few years at the most, the cost of child care, health care and food hit every single month. 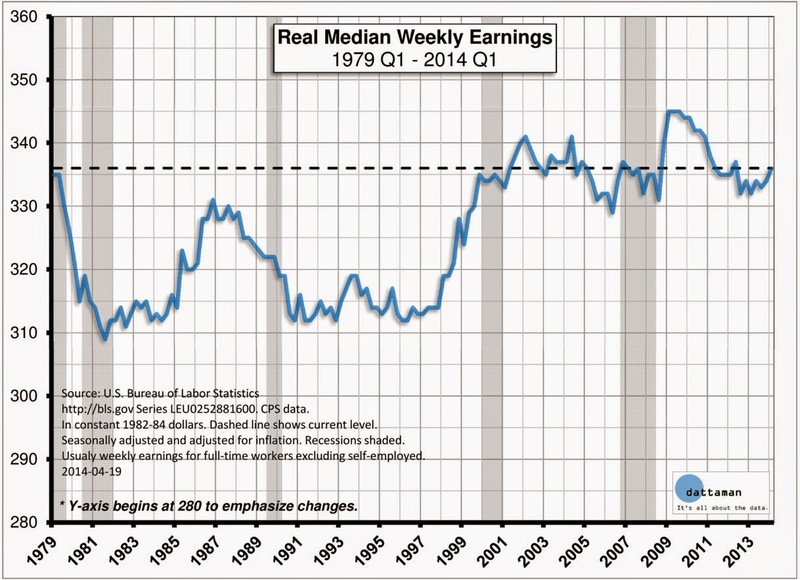 This can be weighed against the real median income which has tracked sideways for 15 years.